Happy Tau Day, everyone! Here’s a comic about a half of tau, which people like to memorize FOR SOME REASON. The 39 digit figure was lifted from Pi-Unleashed by Jorg Arndt, Christoph Haenel. Is it impressive to memorize thousands of digits of Pi? Yes. 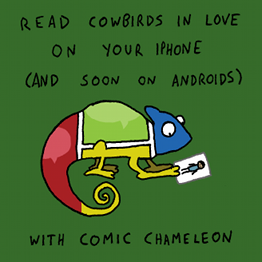 Would it be more useful to memorize the entire archive of Cowbirds in Love word for word? Yes. And some of my comics are terrible! I will be getting together pre-orders for the Base 10 Shirt this Friday (June 29th) and turning them into orders. If you want a shirt, order before then!